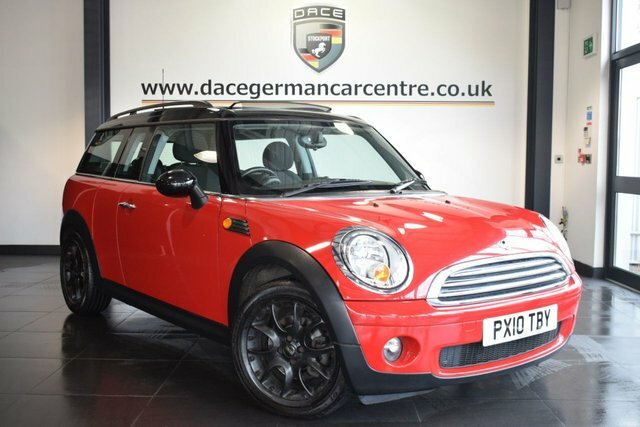 Get the best deal on the ideal used MINI Clubman car for you at Dace Motor Company Ltd! Being one of the largest independent used car dealers in Manchester and the Stockport region, we stock everything from practical MPVs to luxury saloons, so we are sure to have your perfect vehicle with us. Minis are petite, inexpensive vehicles, created by the BMC from 1959-2000. Following this, the company became owned by BMW. Mini achieved a lot of attention throughout the 1960s, with the MINI Cooper, which is considered a prominent figure in British culture and $Mini vehicles have not declined in popularity since. Getting to Dace Motor Company Ltd from Stockport will take about half an hour via the M60. Our dealership is located on Greg Street, which can be reached by exiting the motorway at Junction 24. The committed team will be here, ready to help you find your next car!